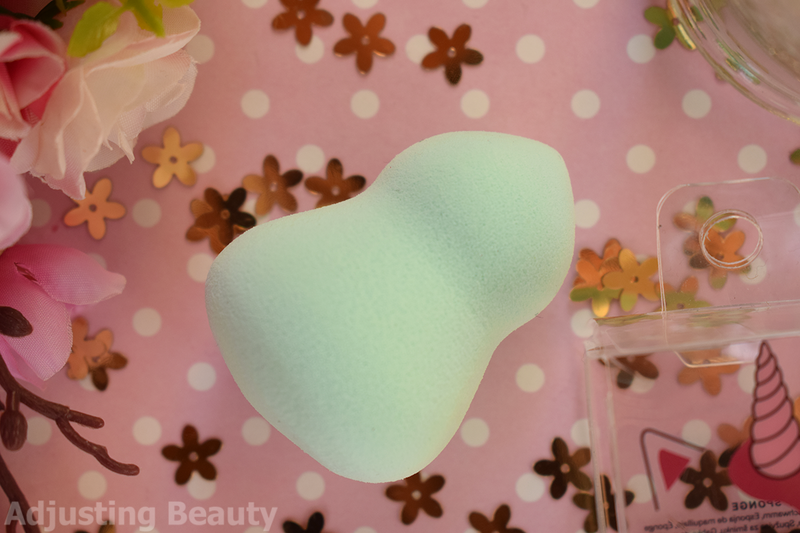 Makeup sponge is still my favorite makeup tool for applying foundation. In my opinion it blends the foundation best, makes it look natural and it almost pushes it into the skin better than any brush. That is why I prefer sponges over any brush, but sometimes the brush is quicker and easier to grab. 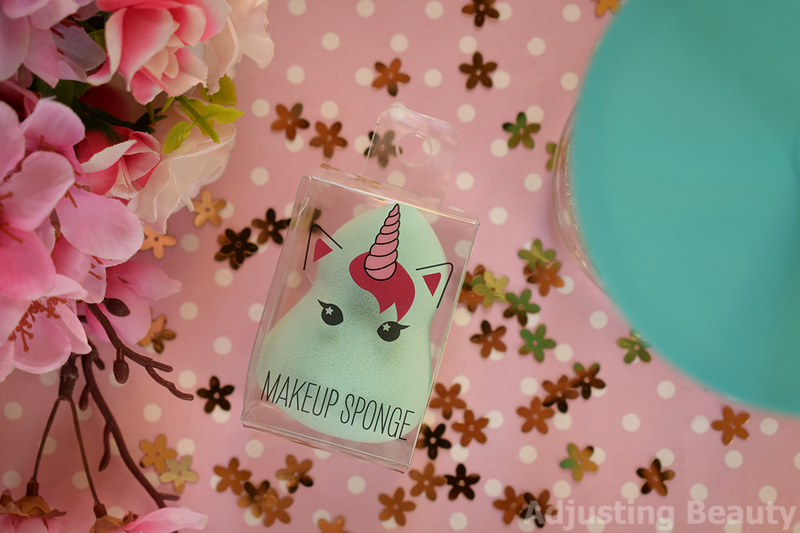 I've found my new favorite affordable makeup sponge and surprise, surprise, it's by H&M. Let's talk about how cute is this packaging. Really cheap, but really cute. I bought it just because of the cute design and later realized how good it is. It comes in a plastic transparent box and it has unicorn drawn on it. There's also another version with what to me seems to be a bunny. 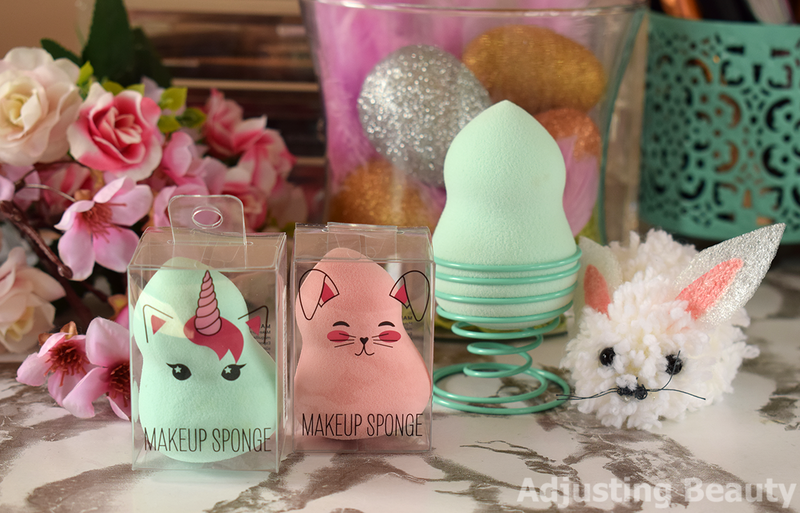 Unicorn sponge is mint colored and the bunny is pink colored. The price of it is 2.99€. I've only tried mint one, because I didn't wanted to dirty pink as well, since I usually just use once at a time and then throw it away after I've been using it for a while or if it tears up. My review is based on my use of the mint one, but I'm sure pink is the same. I've touched them both and they both seem like they're made from the same material. It has that double curve design that I really like. I usually use bottom wider side to pat foundation into the larger areas. The tip is a bit pointed and it's perfect to press foundation in those little corners like around the nose and under the eyes. I also use this side to blend in concealer, although I squish it between my fingers to make it even slimmer. I usually hold it in the middle part, as it seems like that's the point of this shape. It feels soft to the touch when it's dry, but once you wet it, it becomes even softer. This is by far the softest makeup sponge that I've ever tried (I didn't tried the famous beauty blender yet). When you wet it, it increases in size by almost half of the whole size. Material is ultra soft and the texture is even all through the sponge. It has very tiny holes. It blends foundation with ease, but it does soaks up a bit of it. I think it also depends on foundation. Water based and lightweight foundations will automatically soak more into the sponge. Sponges usually give you more natural finishes and the application is lighter which also results in a lighter coverage. The heavier and more pigmented foundation you have, the better coverage you get. But I feel like with this sponge, you can get very light coverage, if you wet it more. Since I got it, I've washed it about 8 times and it washes out well. Revlon Colorstay foundation is the one that is the most stubborn to wash out and it leaves a bit of stain on those parts of the sponge where you apply it densely. That's the only negative thing, but then again, Revlon is so stubborn that I can't get it completely out of any sponge and sometimes even brush. I was quite rough with it, especially when cleaning, and it hasn't tear up or developed any unwanted holes, so in my opinion the material is durable. I also wanted to show you my new pedestal for makeup sponges. I've seen these on Aliexpress, but I bought mine in Kik. 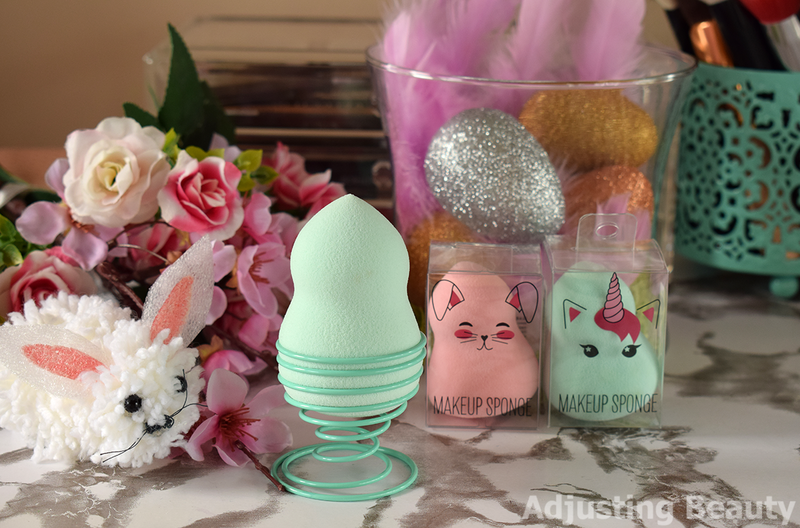 It's a standard egg holder and it prevents your makeup sponge to roll off of your table or pick up any unwanted dirt. It's so lovely to store the sponge in, when I'm not using it. This way I also always know where to look for it. 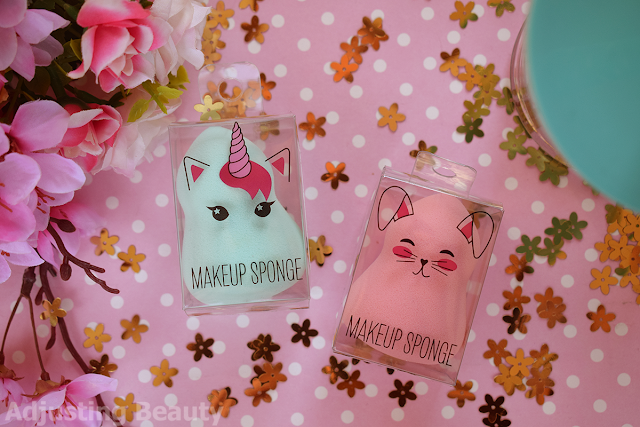 H&M Makeup Sponge has more than impressed me. I didn't expect anything from it, but it turns out that it's the softest sponge that I've tried so far. I love how it blends in my foundation, it washes out well, doesn't have holes after first wash, feels like a cloud and looks adorable to gift to someone. The only negative thing is that it does soak up a bit of the foundation, but I actually don't mind it, because I love the finish that it gives me. For the price, you really can't go wrong by just trying it out. I hope these are permanent and that they won't discontinue them. Upam, da ti bo všeč ;). Jaz sem samo ti dve videla pri nas. Mogoče mi nimamo celotne ponudbe. Pere se super glede na druge gobice, ki sem jih imela. Ampak Revlon je pa res obstojen in trdovraten za pranje :). Pred tem sem jaz tudi uporabljala Ebelinovo trobarvno in imaš prav, v primerjavi s to, je tista kar trda :D.
They looks so cute. I love it. Yes, adorable to gift to someone :). Ti jo res priporočam, ker je takooo mehka, da se boš zaljubila :D. Jaz sem to držalo ravno videla na Aliexpressu in potem še našla v Kiku tako da je bila res poceni rešitev. Moja se tudi vedno nekam skotali in potem pobira prah s tal :D.